Product categories of Gabion Baskets, we are specialized manufacturers from China, Gabion Baskets, Military Gabion Basket suppliers/factory, wholesale high-quality products of Gabion Stone Baskets R & D and manufacturing, we have the perfect after-sales service and technical support. Look forward to your cooperation! 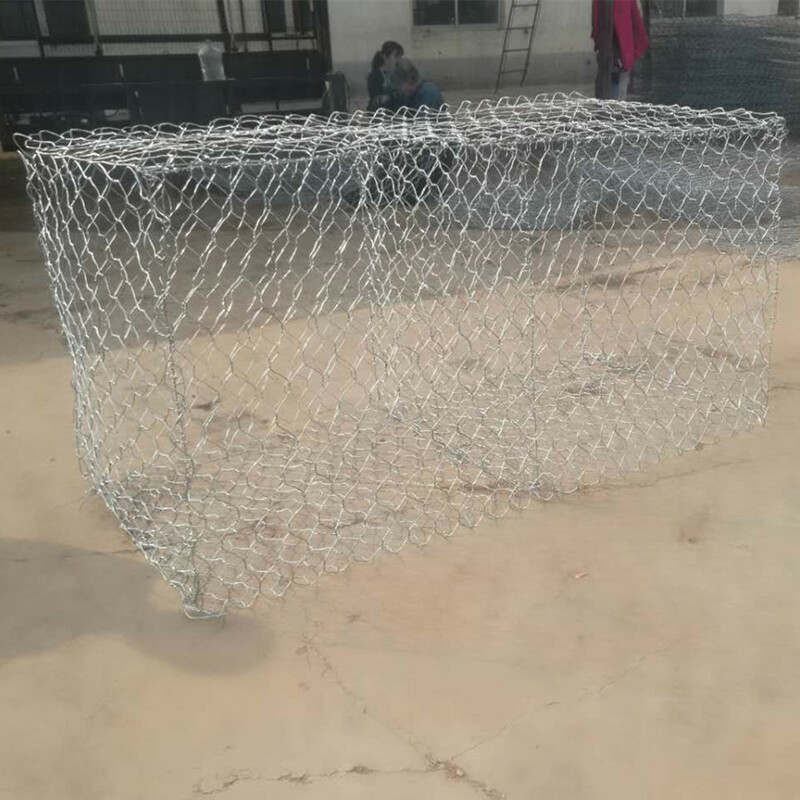 Gabion Basket are made of hexagonal Galvanized/PVC/Zinc-Al double-twisted steel wire mesh. Double twisted hexagonal mesh Gabion& Reno Mattresses are commonly used for channel linings, river training, soil retention, slope stabilization. Some of the advantage offered by Gabion Baskets are flexibility, durability, strength, permeability, ecology, reliability, longevity, low cost and an aesthetic. Gabion's wide applications: earth control, soil conservation, protection of highway, railway and against rock fall, barriers at rivers, marine and seawall protection, lining of steep slopes, revetment for lakes and seashores, lining of canals and dams, protection of islands, avoid noise barriers, construction of the gravitation abutment wall, river training and flood control, and Other applications successfully throughout the world for over 20 years.